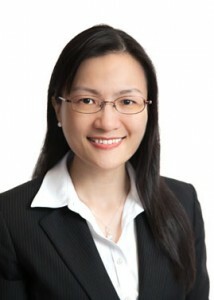 Athena Wong is a dispute resolution lawyer practising as a barrister based in Hong Kong. She was also admitted as an attorney in New York in 2016. She graduated from the University of Oxford, with a degree in law. Her practice focuses on cross-border and international commercial litigation, arbitration and mediation. She has handled a broad spectrum of commercial works including commercial fraud, company, contract, land and construction disputes. Before joining the Bar, Athena specialised in negotiating price and commercial terms for international firms, including Coca-Cola and Hutchison Telecommunications. She is a fellow of the Hong Kong Institute of Arbitrators, a CEDR Accredited Mediator and an accredited Chinese Commercial Mediator. She was appointed as legal consultant to Zhongyin (Nanjing) Law Firm in 2016. She currently serves in the Adjudication & Construction Committee of the Hong Kong Institute of Arbitrators (HKIArb) and the legal committee of the Hong Kong General Chamber of Commerce (HKGCC).